For new resident and trail runner Brent Hedrick, the Sage Hills area in the Wenatchee Foothills Trails System is one special place. “I’m sorry, rattler? Nope, missed him.” I tried to sound disappointed as I replied to the fellow on the mountain bike. “Yeah, he was just a little guy though.” Great, so not to worry then? It was only my second day in Wenatchee, and I thought I’d get a little exercise. 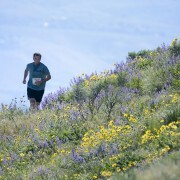 I googled up runwenatchee.com and pretty much pulled Sage Hills out of a hat, so to speak. 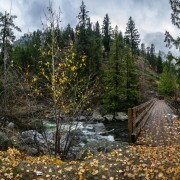 As a newcomer, I didn’t know what to expect running along these east slopes of the Cascades. Dry heat? Terribly steep? Sand in my socks? Just a half-mile in, the biker called out to me. Oh great, now I add snake bite to the list? “Yeah I’m sure they’ll hear you coming, I wouldn’t worry,” the biker reassured me as he started to pump his pedals away. Well, so much for watching the scenery, I thought to myself; my eyes are gonna be glued to this trail now. A couple switchbacks later, I’d forgotten all about the snake. What I was thinking, as I crested a hill, breathing hard: It is beautiful here! The wind hit me head on, really pouring downslope, and pressed my shirt against my chest. It was strong enough to interrupt my train of thought. The tall grasses bowed in ripples and the clouds seemed to be sprinting by. The trail wound its way higher and higher through this wind-whipped, dry landscape, along this drainage and then the next. The views back towards town gave me a sense of how big this valley really is. “Shoot, I missed the balsam root blossoms here,” I muttered when I saw the dried, yellowish husk laying on top of the dark green arrows. I seemed to be making my way towards a trail I could see off in the distance a few hills away. I finally rounded a sharp corner and dropped into the next drainage, onto the northern aspect of the hill. 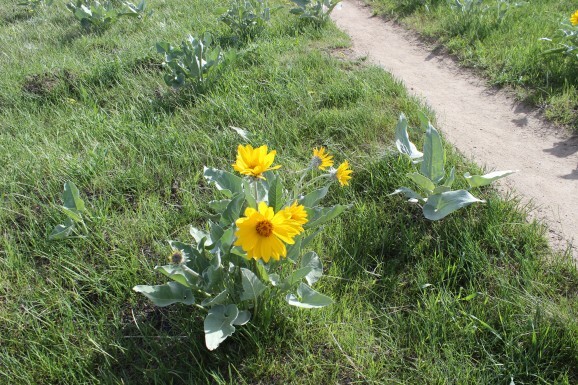 The change was immediate — here the grass was greener, the breeze softer and cooler, and wow, the wildflowers! Balsamroot as high as my waist in full bloom, bright white domes of happy phlox, bluebells hiding beside sagebrush. Everything was thriving in this damp, cool, sheltered drainage. Lush, that’s how it felt to me — especially right around the corner from the arid hills behind me. I found a nice place for a break before I turned around, and as I stood in the shade of a tall maple shrub, two tiny hummingbirds landed on a single branch and rubbed their beaks together. I swear, it happened. I thought I’d run into a Disney movie. Regretful for all the reasons that had me turning back, I turned back. But I knew I would be returning soon. 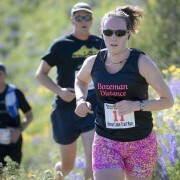 Here’s looking forward to a great season of trail running here in this beautiful valley — snakes or no snakes! Brent Hedrick is originally from Athens, Ga. He moved to Wenatchee to fight wildfires. When he’s not at work, he enjoys trail running, reading and traveling.